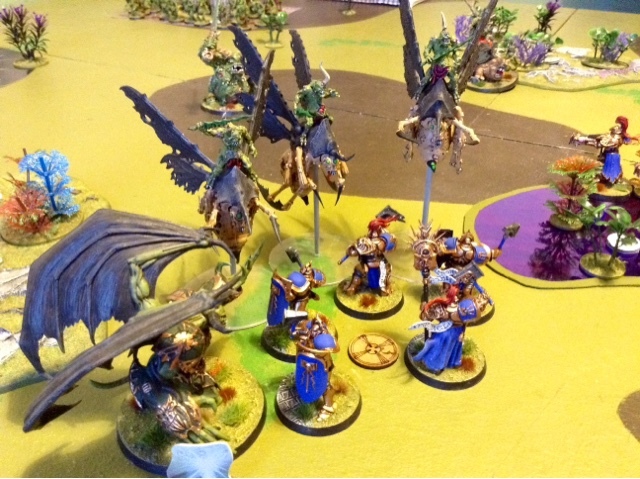 Another game we managed to fit in during the Christmas holidays was an age of Sigmar game pitting the Storm Cast Eternals against the Maggotkin of Nurgle. 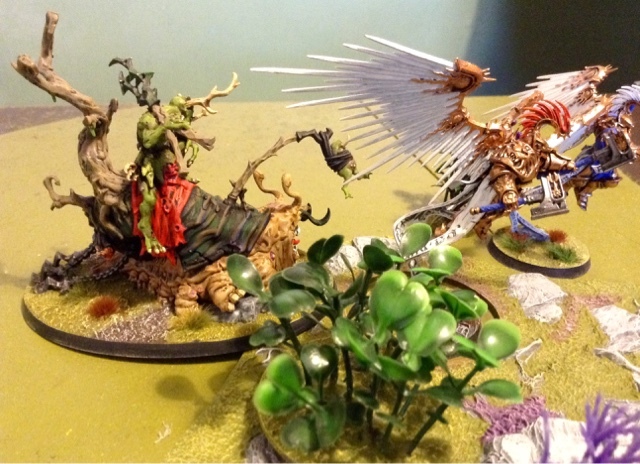 I took command of my dads Stormcast's for the first time and I had little hesitation in including the mighty Star drake with the Lord Celestant sat on top (see photo above). My dad has recently just finished painting this model so it was to make its debut along with a number of other units my dad has recently finished in Vanguard Raptors with Hurricane crossbows and the vanguard palladors (a Christmas present my dad received from myself and very quickly assembled and painted). 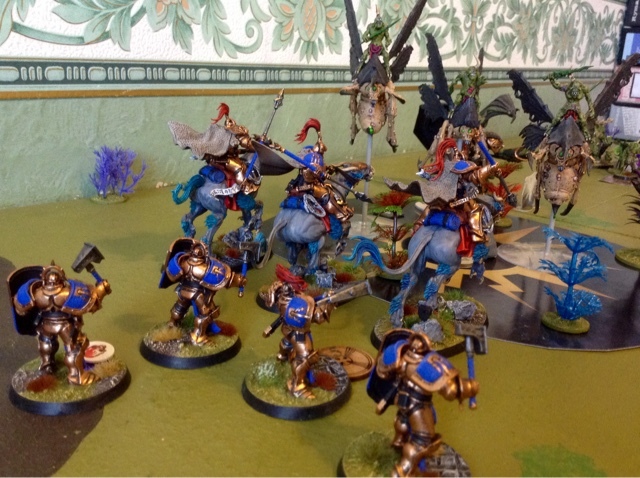 I was Edgar to see how these new units would fair in a game so these units took up quite a chunk of my 2000points. With this in mind the bulk of my army was made up with Liberators in 5 man units backed up by some Raptors, Prosectuers and the hard hitting retributors along with some heros. The scenario we played (hold and burn) saw 3 objectives placed in the centre of each side of the table which was split into three sections across. to score points you had to hold your objectives to score one point or control your opponents for one point at the end of your turn. However if you controlled your opponents you could select to burn the objective their for removing it from play and scoring a D3 victory points. 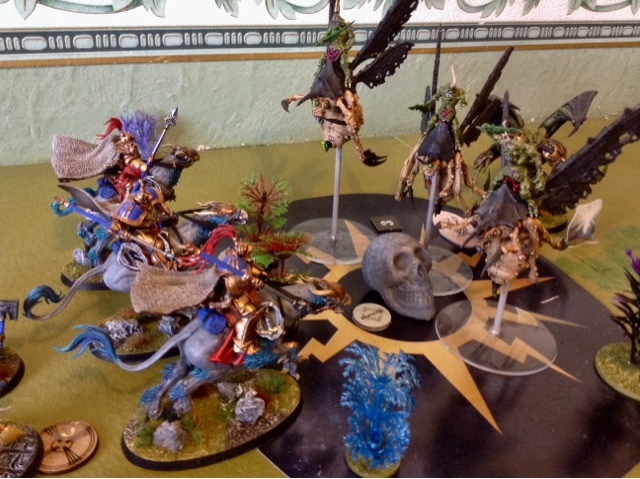 The retributors arrive from the heavans and successfully charge the plague bearers holding the central objective on the Nurgle deployment area. 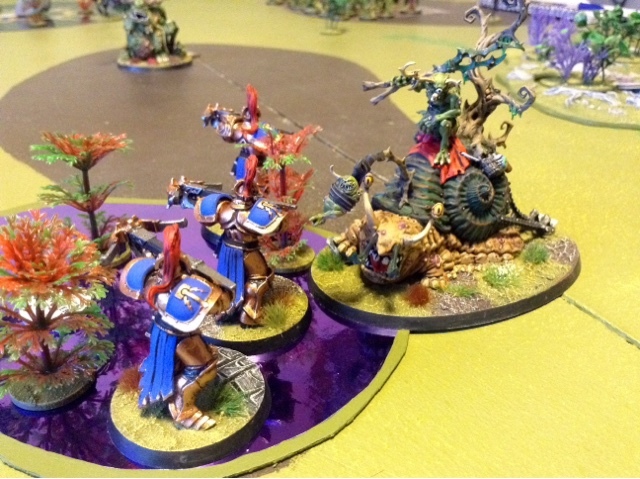 The Retributors proved far to strong for the daemons and quickly sent them back to the warp, the Putrid Blightkings proved to be a sterner test but they also fell to the mighty hammers giving the objective to myself. I elected to hold the objective for a move before burning it and rolling a extra three victory points. 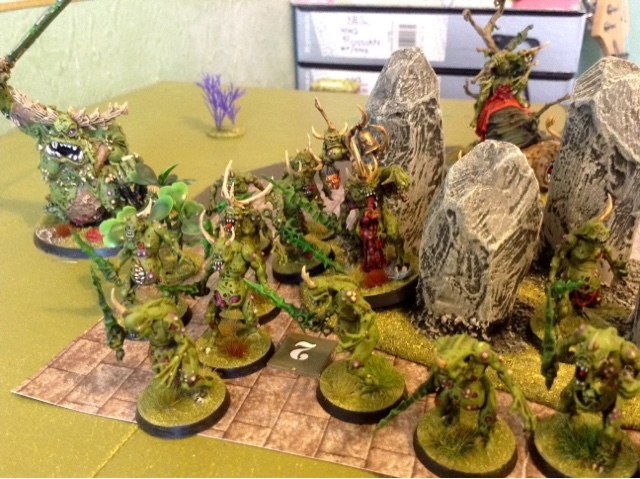 The great unclean one and plague bearers and herald hold the objective on the right side of the table. I choose to ignore this as they would have taken some shifting and instead held all my three objectives with the liberators for as long as possible to score victory points. Liberators Hold the objective as the Palladors clash against the plague drones who manage to resurrect one of their falling drones with a blink of reality roll, the plague drones prove more than a match for the palladors after losing two of there numbers in return retreat out of the melee. The drones continued on and destroyed the liberators guarding the objective before burning it, however my dad only managed to roll a one for the victory points. Horticulture Slimux is a new addition to the Maggotkin army and after slowly making his way over to the action (well it maybe a giant one but it is still a snail!) he managed to finish off the Prosecturs who had killed of a unit of pesky Nurgling swarms in a previous turn, however he had arrived to late to stop the objective from being burned. The Lord Celestant and Stardrake proved to be very mighty indeed in this game and after accounting for a Nurgling swarm, a unit of plague drones (the Stardrake actually managed to eat one whole haha) and inflicting a number of mortal wounds from ranged attacks in the final turn it charged along with the liberators into the 20 strong plague bearers unit who were desomated under such a strong assault before the final remaining model was sucked back into the warp via a inevitable failed battle shock test. With another objective in the Stormcast hands I burned it to score a further point leading to a 17 - 14 victory to the Alliance of order Stormcast Eternals. This game really was a lot of fun (even my mam commented on how she could hear my dad and I laughing throughout the game from downstairs, which it should be like 😄). The scenario played really well and offered up some interesting tactical choices. 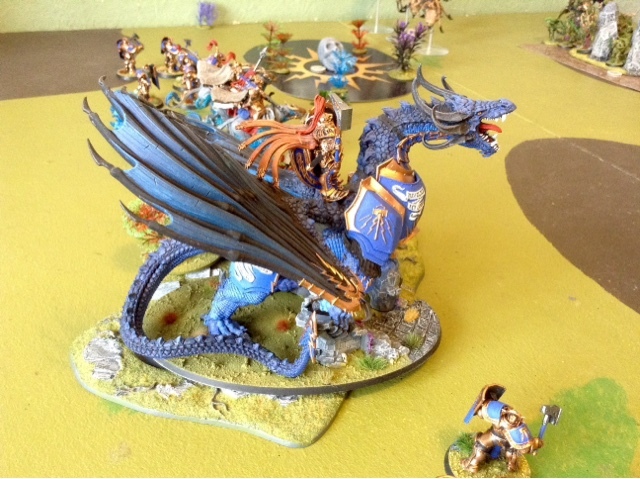 I enjoyed using the Stormcast eternals and in particular the Stardrake who was simply awesome. 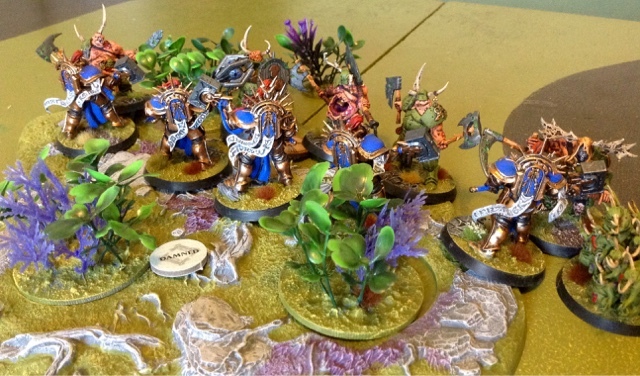 Age of Sigmar has proved to be a big hit for myself in the games I've played which I have been surprised at as when it was released a few years ago I just had no fancy at all and really didn't like the direction Gamesworkshop had gone from the Fantasy battles I had been used to gaming with them, just shows you how wrong you can be. 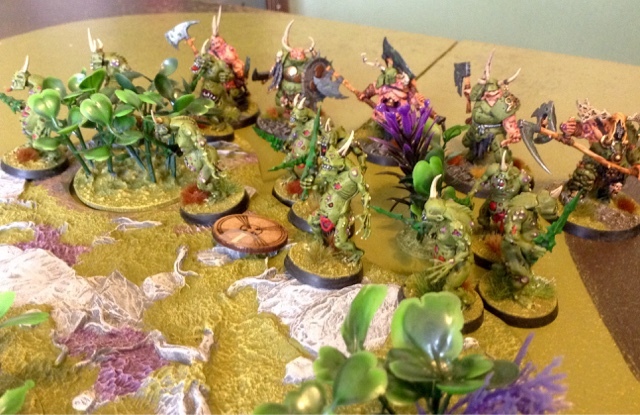 Next time my dads Nurgle force takes the table top they will have a make over in the form of a new army book so no doubts their will be full of new tricks and mortal wound abilities to contend with. 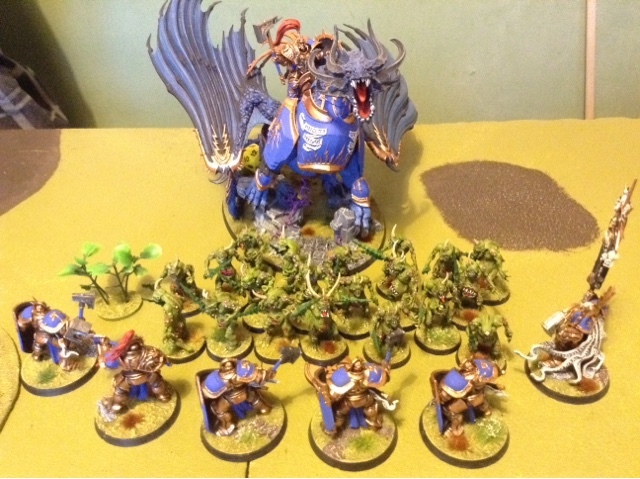 In the mean time I have started to paint my own force in the the From of Orruks Ironjaws which will be my main project for this year and I'm excited to get onto the table top (eventually!). 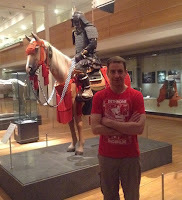 I have been wargaming now for over a couple of decades, mostly Fantasy/sci fi. However in recent years i have found myself selling up my Warhammer/40k armies in favour of building histoical armies. 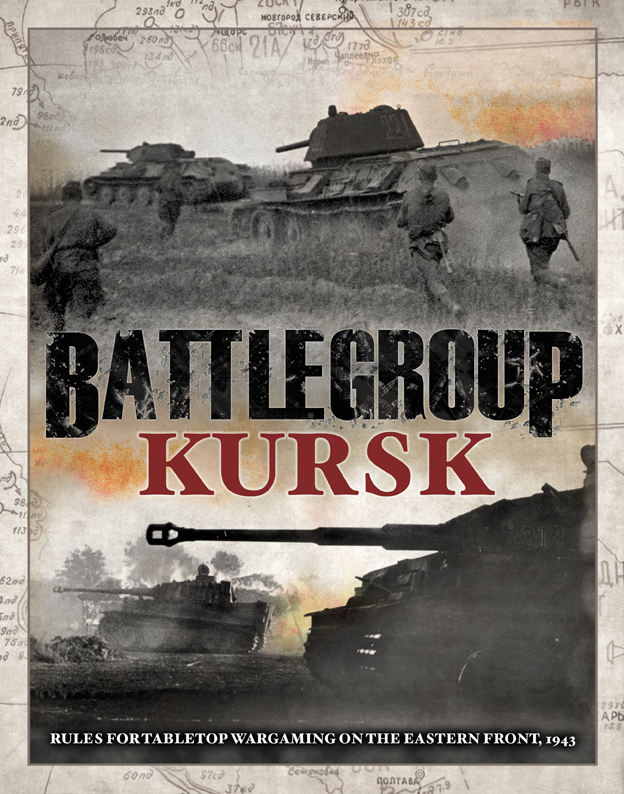 I have a long standing interest in WW2 gaming and have large scale 15mm German, Russian and American forces, although im always adding something new to these. 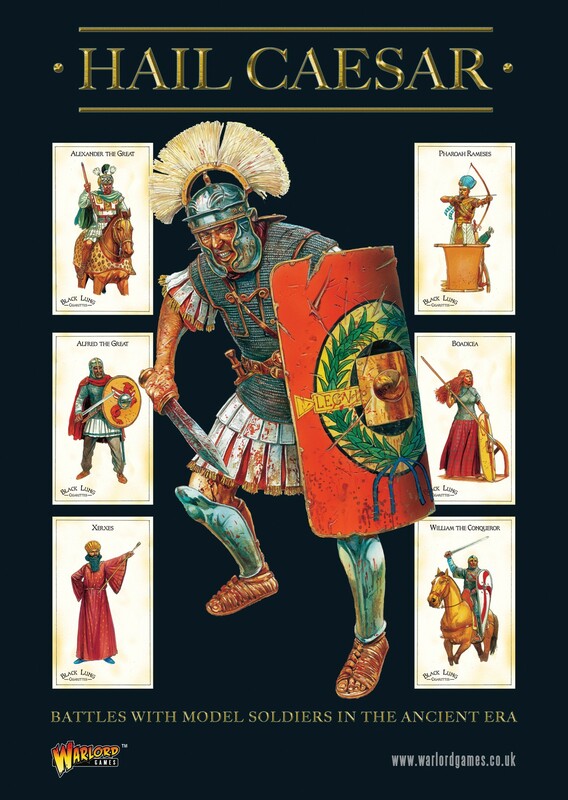 Also in 15mm i have a acient army in the form of Alexanders Macedonian army. 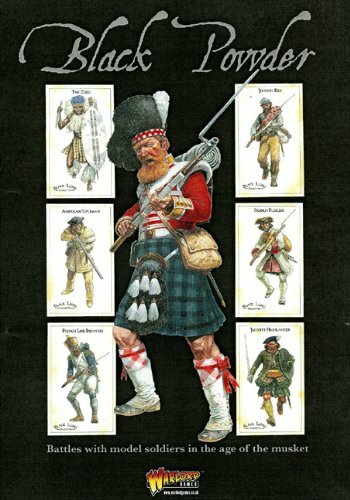 Of late i have turned to the smaller scale of 10mm to build armies for the war in Sudan 1884 and a French Napolionic army for the 1809 campaign. 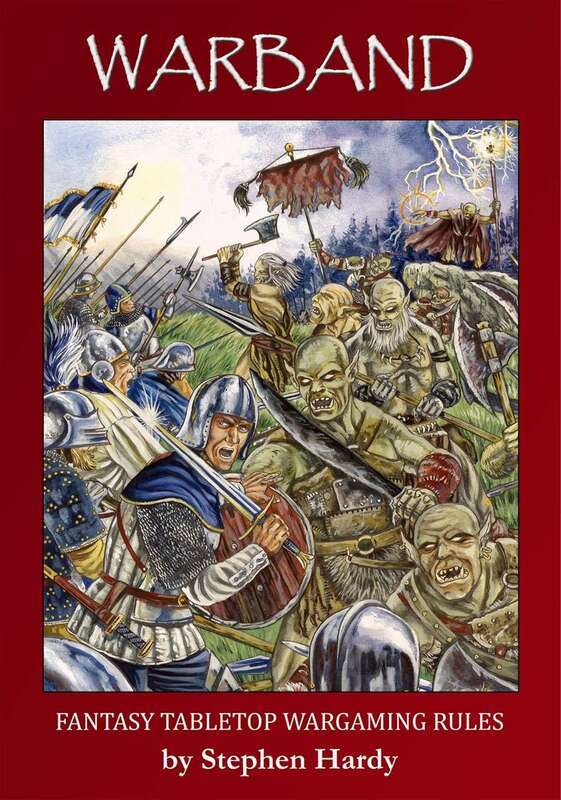 Not wanting to disbandon playing fantasy games i have now added a Undead/Vampire counts army in 10mm to use for our new choice of fantasy rules Warband. 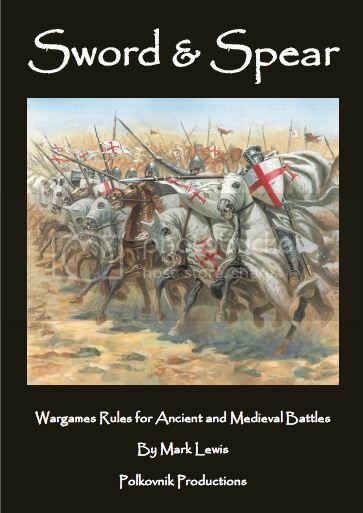 I also participate in games of various periods of History with John ( my Dad ) Robbie and Colin of the Independent Wargamesgroup, a group which i have attached myself to over the years.